Here is the sixth and final set of our Edinburgh Festival Fringe reviews. You can read the rest our coverage in parts one, two, three, four and five. See you in 2019. Written and directed by Ross Ericson, An Evening With Miss Wong is a one-woman show about the life of Chinese-American movie star Anna May Wong, performed by Michelle Yim. Wong’s life is a fascinating one; she was one of the first Hollywood stars, beginning her career in 1919 and acting in some of the first ‘talkies’ as well as working in Berlin and London. 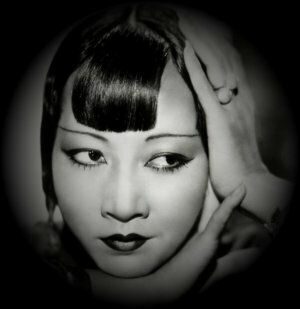 She was frequently caught between two cultures, with the USA not allowing her to kiss white men in yellowface on screen and her Chinese family disowning her for being ‘too American’. Yim gives a committed performance, but despite the excitement of Wong’s life, the show is somewhat one-note with very little overall arc. Yim’s monologue is broken up with the occasional song, and the archive footage playing on a screen behind her is wonderful and makes me want to see more of Wong’s work. Overall the show is saved by the interest in the source material but I can’t help but feel there’s something more exciting that could be done with the story of Anna May Wong’s life. Flo & Joan are two sisters who make up a musical comedy duo. Knowing them only through their recent set of adverts for Nationwide, I am expecting safe subject matter in their show Flo & Joan: Alive on Stage. I am therefore surprised when they set out their stall in their potentially divisive first number, inviting a panoply of people to leave, such as Daily Mail readers and Piers Morgan. While never pushing the boundaries of political comedy, they clearly establish themselves as left-wing, feminist comedians unafraid of making a noise about topics of injustice. Their skill lies in their clever lyrics and comedic timing. I find their song about crackers particularly delightful, as they showcase linguistic dexterity through a series of tongue twisters. Meanwhile, their song about getting married archly skewers the wedding industry, with meticulously researched and written lines ensuring it keeps the audience listening to every word. Although I enjoy the song itself, I am less tickled by their number on products for women. 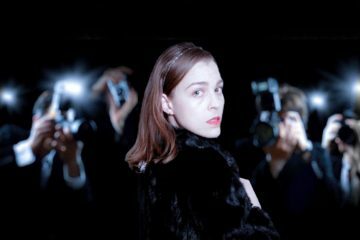 While it was inspired by the announcement of crisps for women by Doritos earlier this year, the topic has been visited by a lot of comedians, such as Bridget Christie with her 2013 show A Bic for Her, so the jokes, while clever, do not always feel novel. However, overall, the hour is a hit. Flo & Joan have created a fun, charming show, with a finale that demonstrates their acute command of comedic performance. Flo & Joan will be on tour from September. 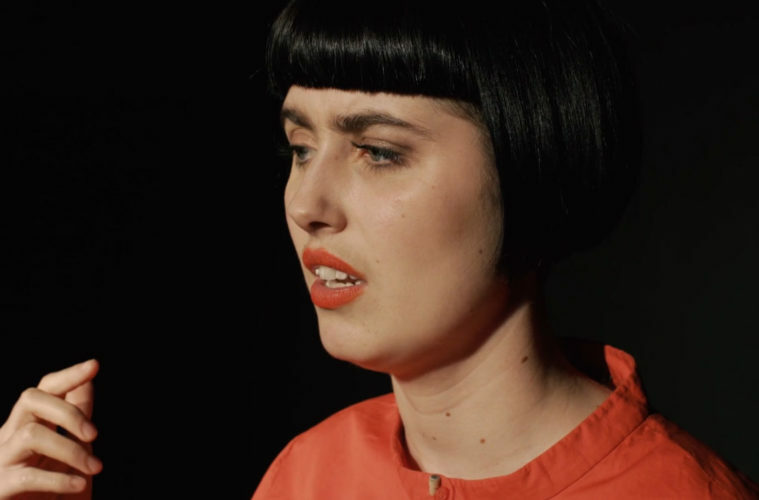 In a similar vein to the work of Touretteshero, Jess Thom, Kaiya Stone allows us a look inside the ways of her neurodiverse brain. Stone discovered at 19 – already part way through her classics degree at Oxford University – that she has dyslexia, dyspraxia and ADHD. Her mind views things in a quite wonderful way and she sheds light on a few of them here. As well as neurodiversity, the show focuses on Stone’s experiences in primary, secondary and college education: her teachers, influences, likes and dislikes. It’s a very likeable and informative show, urging you to reconsider any opinions telling you that dyslexia is merely shorthand for ‘stupid’. Part standup, part theatre, part animation and film, the show dots about as much as Stone’s mind appears to, which is quite brilliant to behold. Lest ye misunderstand, this is no inspirational, heart-warming tale of a disabled person overcoming all odds, but a huge political statement. Stone is one of the lucky ones when it comes to facing discrimination due to her neurodiversity, and she knows it. 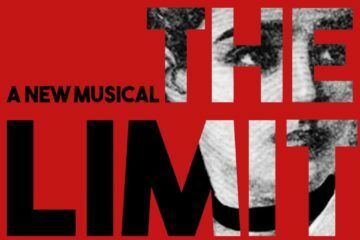 Creativity and diversity go hand in hand here, and this show is a plea for systematic change: a powerful message from a powerful performer. Women’s frustrations ring loud and clear in this wonderful play about a comedy double act getting together for one last show. 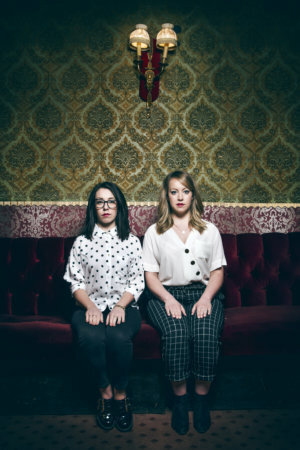 Written by Danielle Ward, the lead characters are played exquisitely by Anna Crilly and Margaret Cabourn-Smith – all comedy heroes in their own ways. It is often said that tragedy and comedy go hand in hand, and there is no better example than this piece. Double act, Anderson and West, dart around their career, from wide-eyed first meetings to washed-up snapping sessions, and everything in between. Crilly takes on the more raw, emotional side of the piece, and does so with masterful precision. The most astonishing part for me is Ward’s perfect capturing of the exasperations of female performers: typecasting audition rooms, online trolls and sexual abuses of power are all on display here. Creative industries are rightfully outed and damned. And it feels good. A highly recommended show that makes you laugh, makes you cry and speaks volumes. What happens when you move from Basingstoke to Zambia at the age of 12? Well, in the case of Katrina Quinn, you swim. This is a spoken word, coming-of-age tale of identity, crossing borders and, well, swimming. Teenage life is a turbulent time for most of us, and Katrina discusses this in perfect poetic style, looking at music, dancing, talking to boys, embarrassment, education, keeping up with and making friends. The rhythm of her words matches that of the swimming strokes she describes, with rhymes as effortlessly graceful as a swan. Swimming is Quinn’s real love and escape – a way to find focus in the confusion of her identity. It’s a nice hook that weaves itself throughout the whole narrative. She conjures images of Africa, the swimming pool and Basingstoke (as a fellow ‘Stoker, I lap up references to specific streets and landmarks in the town), making the audience feel the heat of the plains and the cooling power of the water just by listening. Feature image / image three is of Everything Is Going to Be KO. It is a photograph of performer Kaiya Stone’s face. She is looking slightly down and to the right, with a slight frown. There is a lot of contrast between her pale face, dark hair, red top and the dark background. Image two is a black and white photo of Anna May Wong. She holds her face with her hands and looks to the side. She has strong make-up with thin, defined eyebrows and a sharp fringe. Image three is of Flo & Joan. It shows the two sisters sitting side-by-side on a maroon velvet banquette. There is a green patterned wallpaper above them. They both wear trousers and shirts and look seriously at the camera. 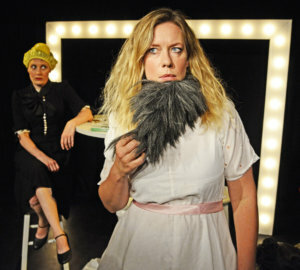 Image four is of Anna Crilly and Margaret Cabourn-Smith in The Half by Nobby Clark. Crilly is at the front of the photograph. She has a white dress, long blonde hair and a false beard pulled down under her chin. Canbourn-Smith sits on a stool behind her in front of a big frame of lights similar to the ones you would see in a dressing room backstage around a mirror. They both look serious. Image five is of Katrina Quinn in Individual Medley by Photos by David. She stands to one side of a table in a pose that is reminiscent of someone about to dive into a pool. She has her left leg up on the table and both arms out in front of her with her hands in fists. She wears jeans shorts, a white t-shirt and has swimming goggles on her forehead over short hair. There is a black backdrop behind her.